Even in our hyper-connected world, there are tribes scattered across the far reaches of the globe who still live much the same way that their ancestors did thousands of years ago. Having had minimal contact with the outside world, these peoples currently live in harmony and unison with the environment around them. But as technology grows and the human population expands, the way of life of these tribes becomes increasingly threatened with every passing day. In The Rainforest Survivors, veteran overseas reporter Paul Raffaele recounts his time spent with three unique jungle tribes—the peace-loving Congo Pygmies, New Guinea’s tree-dwelling Korowai cannibals, and the Amazon’s ferocious Korubo. Over months spent living in these three communities, Raffaele experienced firsthand wisdom and mysterious rites forged over many millennia. 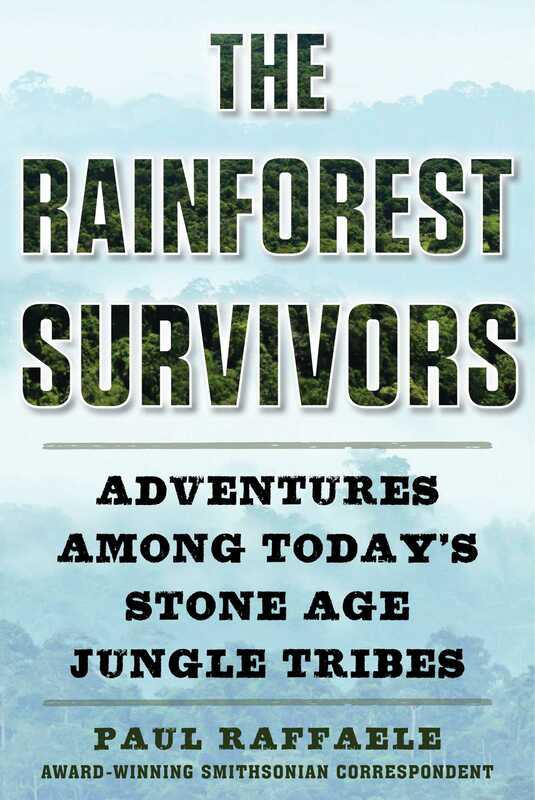 Resonating with high adventure and remarkable characters, The Rainforest Survivors details the daily lives of these relatively unknown peoples and provides key political and environmental context, showing how outside forces are closing in on them and threatening to change forever their ways of life. Enthralling and unforgettable, this compelling book is the important portrait of indigenous peoples living the way they have for centuries.